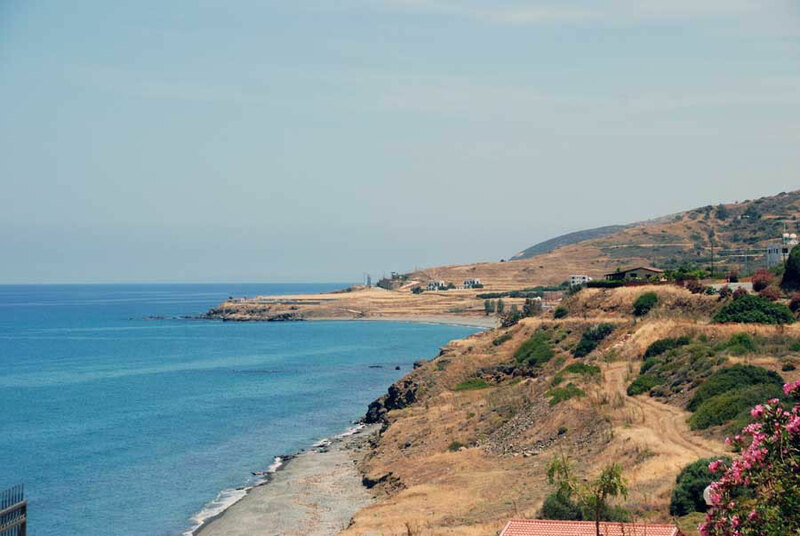 The road to the Kokkina Enclave passes along some of the least developed coast in Cyprus. The land behind is the characteristically rough, gnarly terrain of the copper belt - steep, forbidding hills and deep valleys with outcrops of angry, bruised rock. 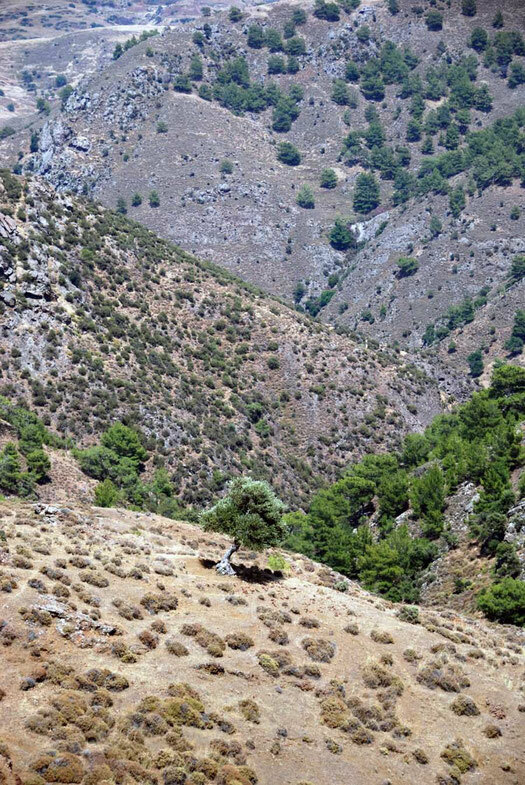 The Kokkina enclave is a stark reminder of the bitter and bloody partition of Cyprus. Driving round it involves a 45 minute detour into bone dry, precipitous copper hills of goats, Brutia Pine and incessant cicadas. It is here that I realised that there is not a 'border' between North and South Cyprus but rather a front-line of a war that stopped but has not been resolved. The area bristles with five ugly, barbed-wire-enclosed, Greek Cypriot camouflaged block-houses. 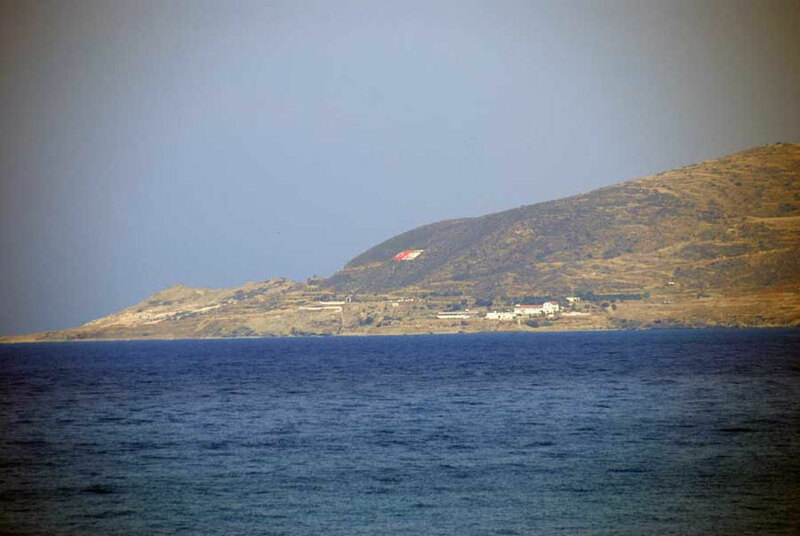 On the ridge behind Pomos there is a further radar post to track incoming Turkish naval traffic - the only way that the garrison can be provisioned. The enclave is beautiful in its desolation and a Turkish Army post sits on the ridge in the middle of it, the main part of the garrison being down in the bay. On the promintory Turkish and TRNC flags have been etched into the hillside. On the highest ridge at the back of the enclave is UNIFCYP post 3, manned by Chilean troops. There is talk of opening the enclave to allow a more direct road between Polis and Pyrgos (see Rough Guide p.184). In 1962 Kokkina had become a beachhead for supplies and arms being shipped to the Turkish Cypriot community from the Turkish mainland. The TMT - the Turkish Cypriot resistance organisation - filtered 500 young fighters into the area. In August 1964 the Greek Cypriot EOKA, led by George Grivas, massed 3,000 National Guard troops and attacked Kokkina and surrounding villages. The TMT and Turkish Cypriots were forced back into Kokkina whilst Greek Cypriot students were bussed in to witness the impending defeat. But on August 8th the Turkish Air Force launched attacks on the area for two days, bombing, napalming and strafing Greek villages and nearby Polis. Heavy casualities ensued and the one pilot shot down was beaten to death/lynched by National Guards (Cyprus Rough Guide 2009 and Wikipedia). Kokkina was also the site of the largest National Guard offensive during the intercommunal conflict that took place between 6 and 9 August 1964. This major attack forced the Turkish Cypriots to evacuate four villages [Mansoura, Sellain T’api Agios Theodoros and Alevga - a combined Turkish Cypriot population of 548 in the 1960 census] and retreat to a narrow beachhead of Kokkina. They remained there until 1975. 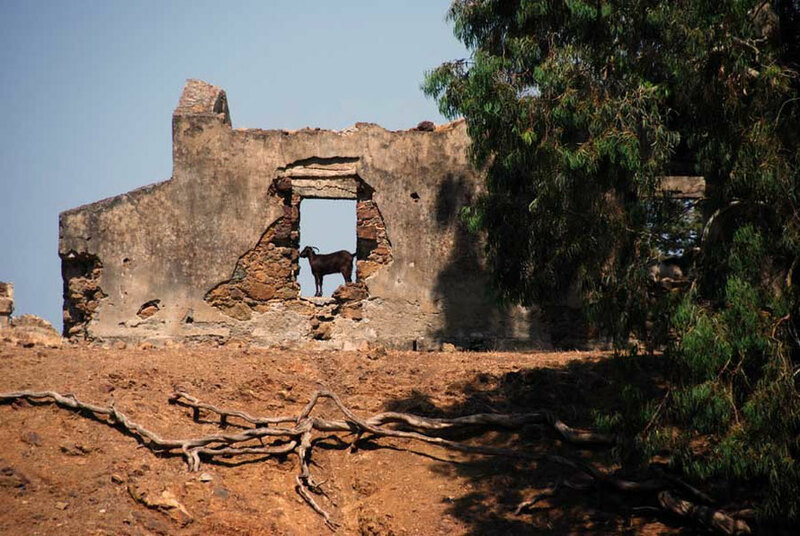 In 1971, Richard Patrick recorded 677 displaced Turkish Cypriots who resided in the village. The ultimate success of the above-mentioned National Guard offensive was only prevented by the intervention of Turkish war planes, causing huge military and civilian losses to the Greek Cypriots. Following the 1974 war and the division of the island, Kokkina continued as an enclave, since the Turkish army never reached the village. 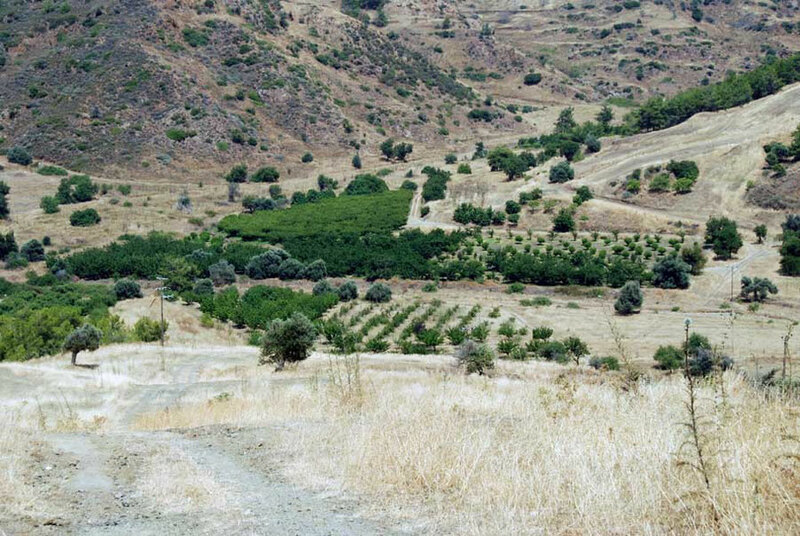 The village was cut off by the Greek Cypriot village of Pyrgos, which geographically prevented it from uniting with the rest of Turkish-controlled north Cyprus. 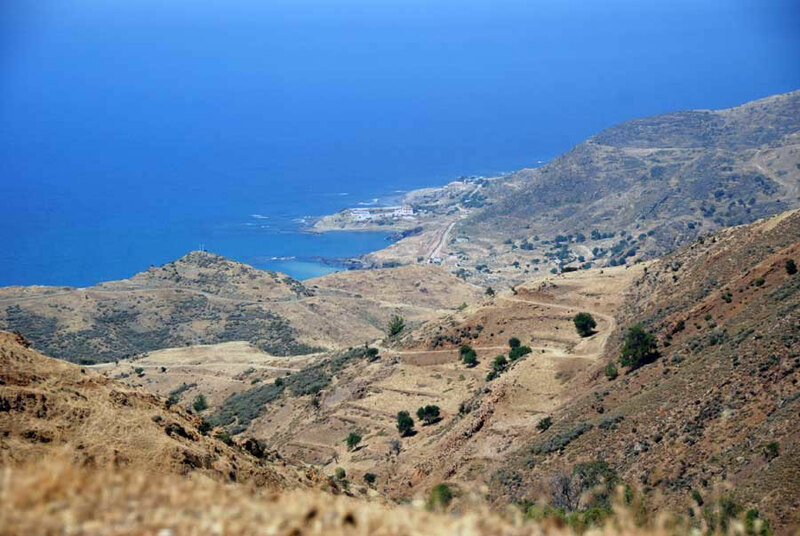 Eventually, in November 1976, all the villagers from Kokkina and the families displaced in 1964 were transferred to the former Greek Cypriot village of Yialousa in the Karpas peninsula, where they currently live (Source PRIO). 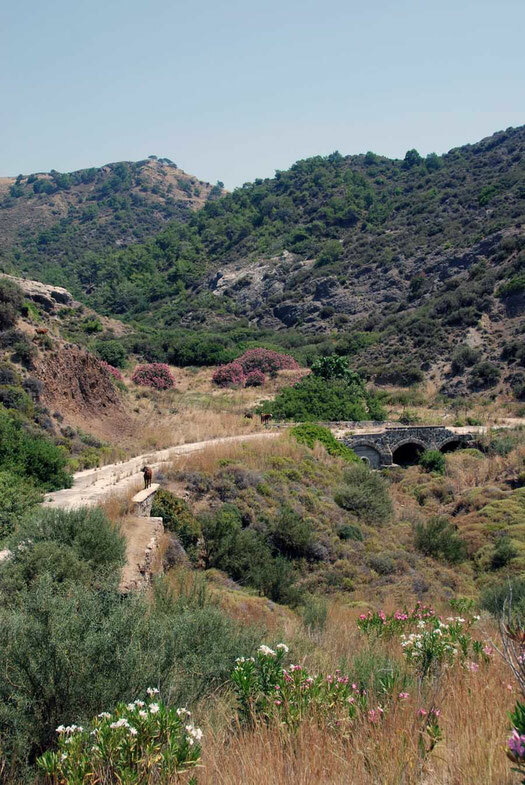 The fate of the Greek Cypriots of Yialousa on the Karpas Peninsula (which had a population of 2,537 Greek Cypriots in 1960) was little different to that of the Turkish Cypriots of Kokkina. Most of the Yialousa Greeks were initially not displaced in August 1974, when the Turkish army and Turkish Cypriot fighters reached the village. The village had an enclaved Greek Cypriot population of 1,909 as late as October 1975. By early December 1975, this number was down to 537. The number of enclaved persons dropped further to 310 by July 1977, and by April 1978 only two Greek Cypriots remained. The restrictions such as freedom of movement and education rights imposed on them were the major causes of their departure. The other important reason was family reunifications. When 139 fighting-age males of the village were taken to POW camps and later exchanged with Turkish Cypriot POWs from the south, they ended up on other side of the divide. Consequently, many families left the village to reunite with them in south Cyprus. They were not allowed back. From the above-mentioned POWs, eleven went missing, never to be seen again. In addition, the arrival of displaced Turkish Cypriots from Tylliria in 1976 also accelerated their departure. After the Vienna agreements, UNFICYP established an operation post there in August 1975. 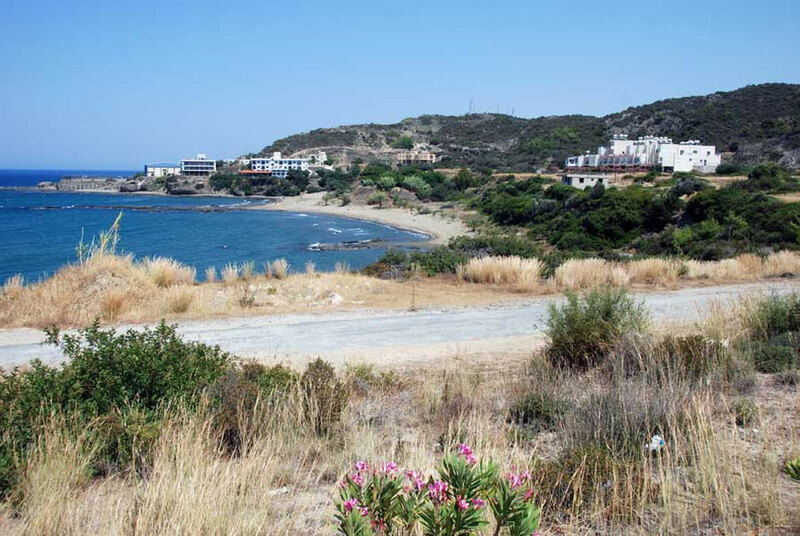 Currently, like the rest of the displaced Greek Cypriots, the Greek Cypriots of Yialousa are scattered throughout the island’s south, with large pockets in towns. The number of the Yialousa Greek Cypriots who were displaced in 1974 was around 2500 (2460 in the 1973 census) (Source: PRIO website). There is a website fragment here, which I cannot vouch for, which lists missing persons from Yialousa. 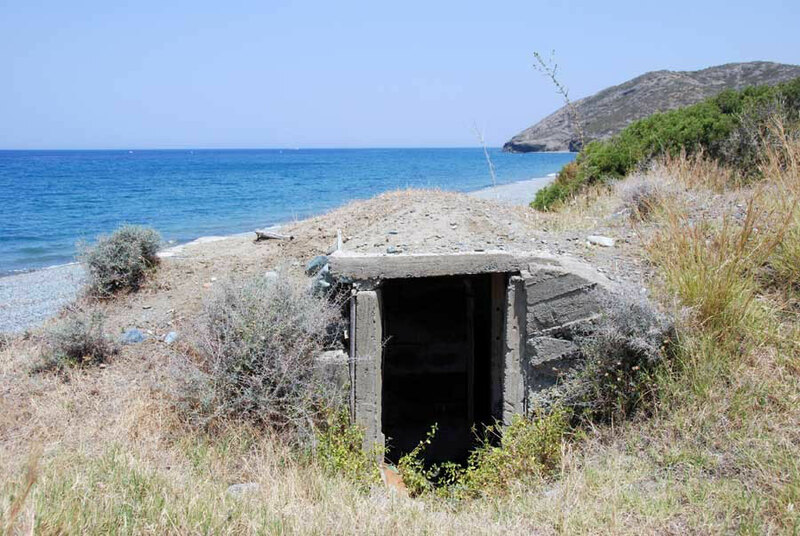 The Committee on Missing Persons in Cyprus, made up of inter-communal teams working to locate and identify the missing from the 1964 and 1974 conflicts across the island had, at April 2012, exhumed the remains of 853 individuals and identified 321 of them. 255 were Greek Cypriots and 66 Turkish Cypriots.